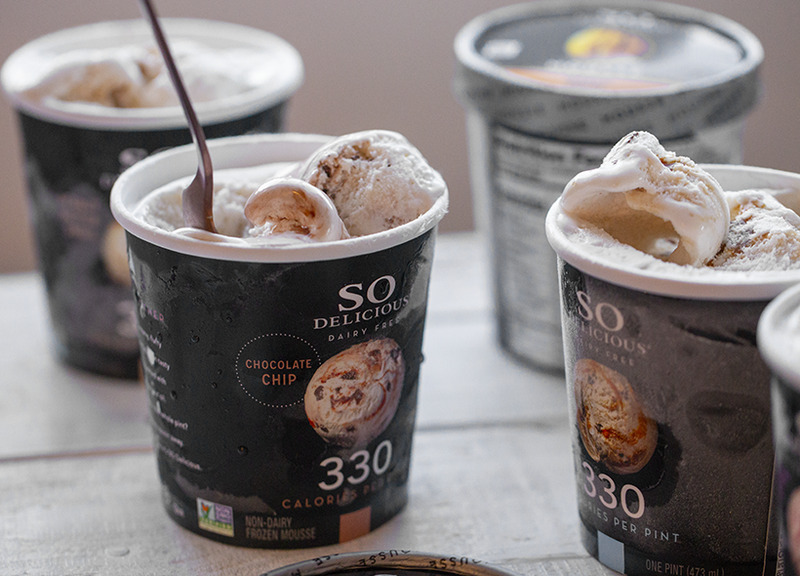 This post is sponsored by So Delicious. Fun Fact: We pretty much always have So Delicious sandwiches in our freezer. Like, always. 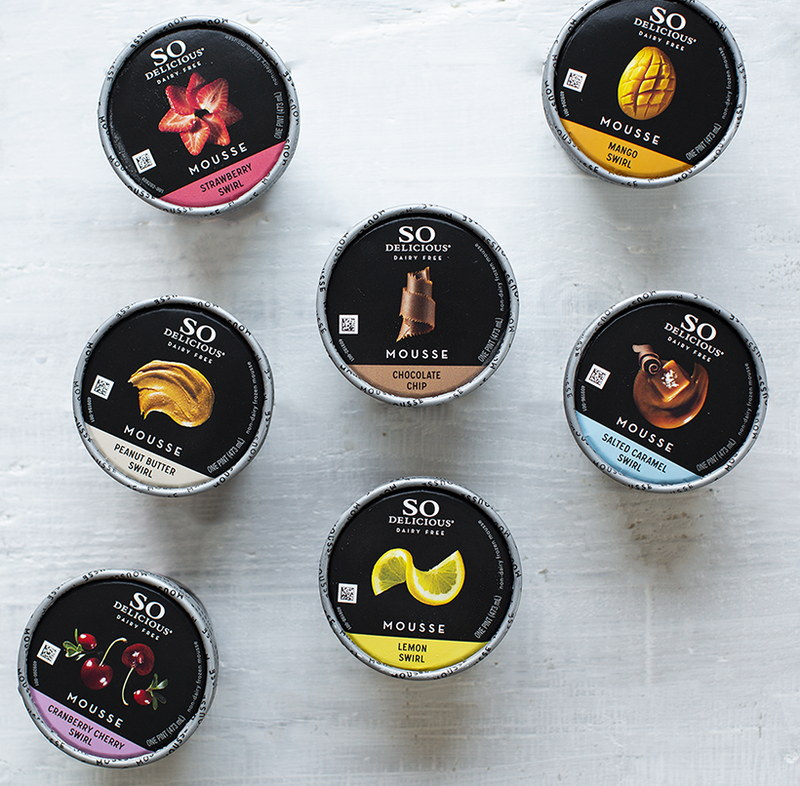 And some of my very favorite vegan frozen dessert flavors are by the So Delicious brand. Cashewmilk Snickerdoodle? Yes, please! 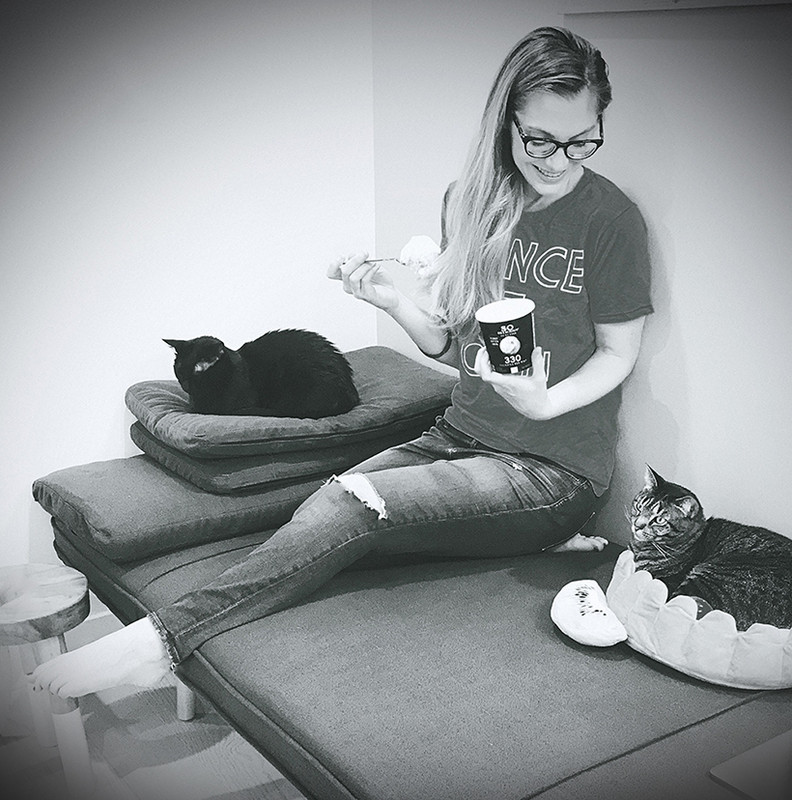 So when given the opportunity to taste test their new line of frozen desserts and share them here on the blog (with a giveaway for you guys!) I of course said YES. I'll take any excuse to stock my freezer with dairy-free desserts. 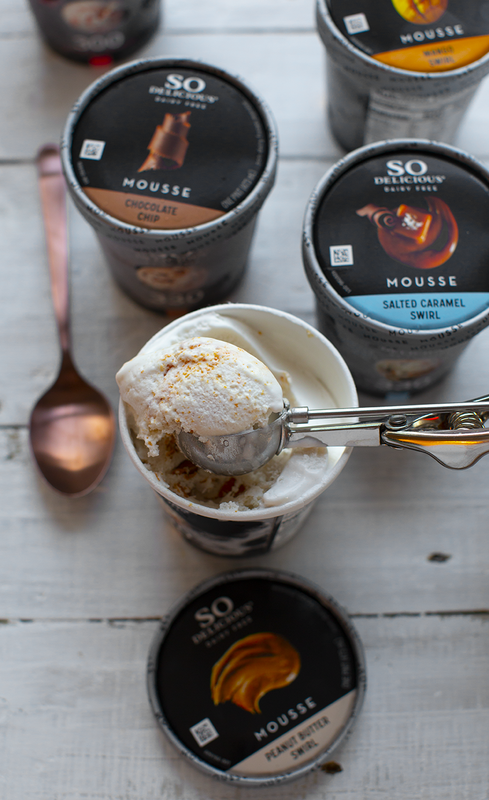 Giveaway Prize: $50 in coupons from So So Delicious. (Five winners!) Enter at bottom. Grab a Spoon. I'm not sure why, but to me, ice cream-style desserts kinda taste better when eaten straight from the carton. I always get excited when there is just enough left in the container for me to be able to just dive right in with a big shiny spoon - and eat every last spoonful - no bowl required. 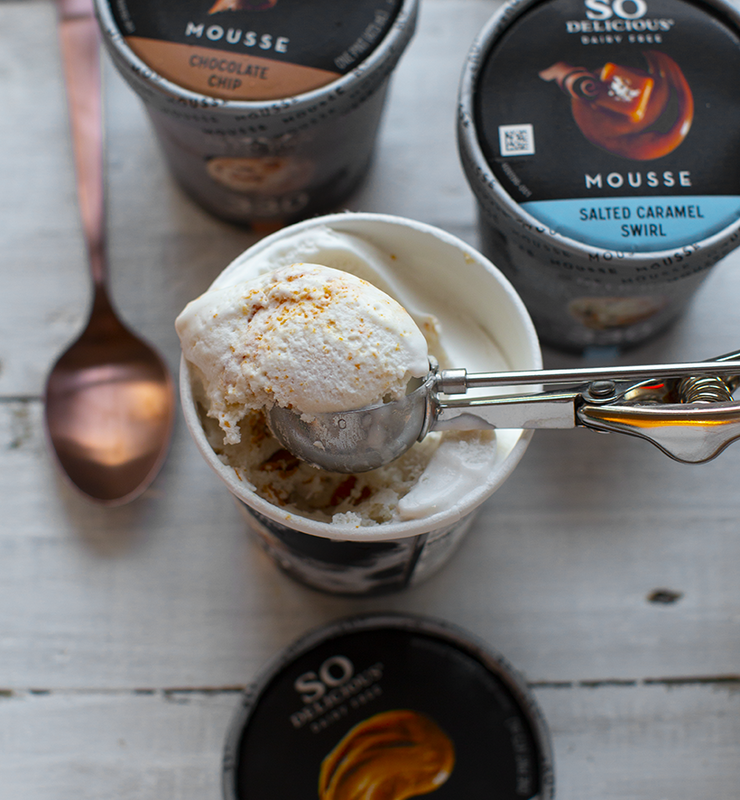 Well, with So Delicious's new mousse line-up of frozen desserts, you can dive right in, spoon first, each and every time. 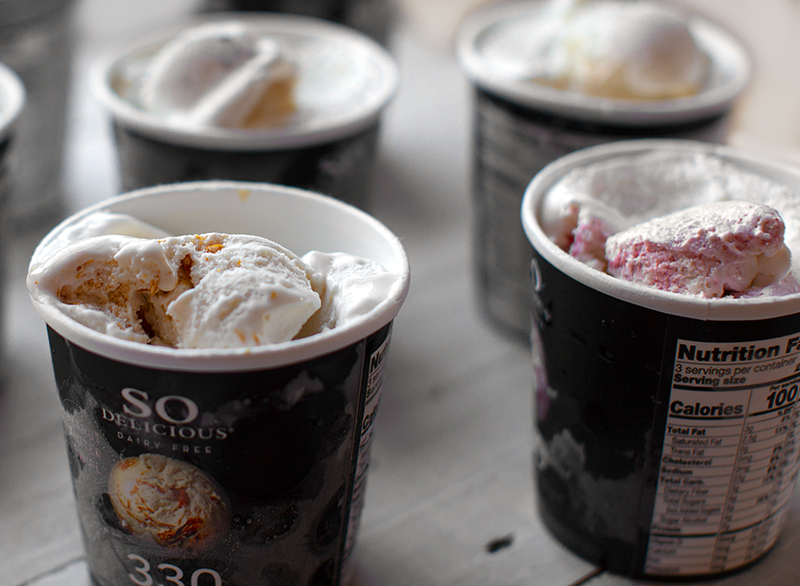 No worries if you finish the entire thing, because each pint contains only either 300 or 330 calories. But what do they taste like??? The fruity flavors are: Mango Swirl, Lemon Swirl, Strawberry Swirl and Cranberry Cherry Swirl. 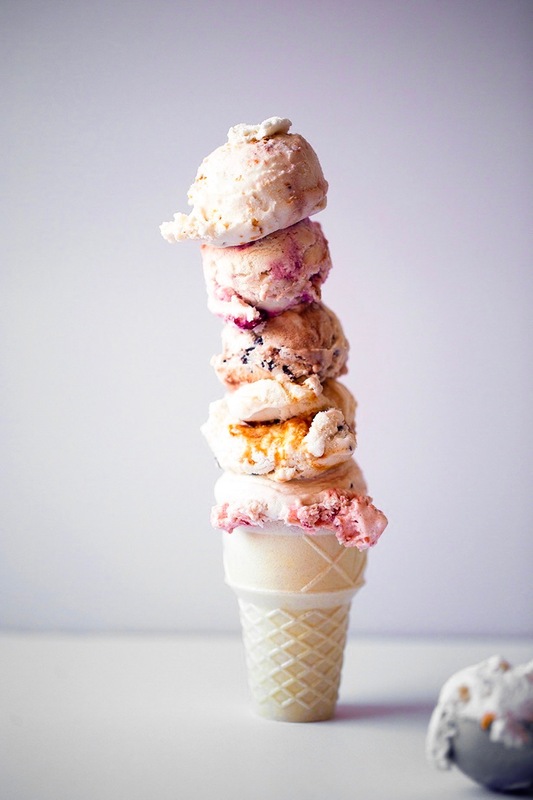 The other flavors are: Chocolate Chip, Salted Caramel Swirl and Peanut Butter Swirl. The fruit flavors are very creamy and zing-y. I loved the mango flavor the best because it really tasted like a fresh juicy mango, swirled with vanilla cream. 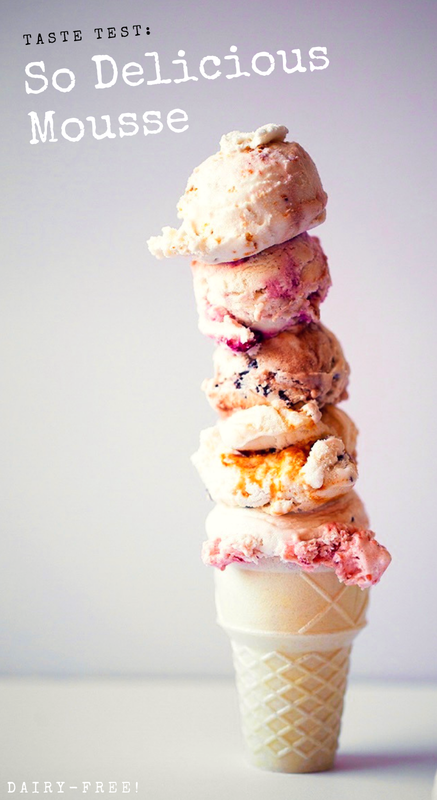 My favorite flavors were the Peanut Butter and Salted Caramel Swirl flavors. Chocolate Chip was super yummy too. I also loved the way the mousse looks! The colors and textures ripple through the fluffy mousse base. 1. The Texture. The texture is light and fluffy, yet super rich, creamy and silky. This frozen mousse has a lot of body to it and sits on a spoon with loads of dessert charisma. 2. The Flavors. The product line-up contains a wide variety of flavors. 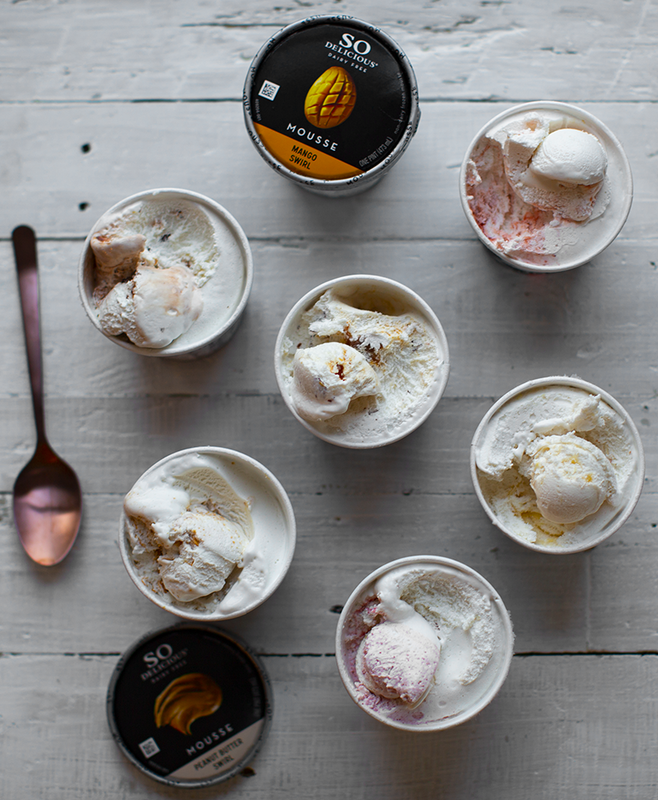 Fresh, fruity and zing-y flavors like Mango and Lemon Swirl -- as well as more traditional dessert flavors like Chocolate Chip, Peanut Butter Swirl and - oh yeah - Salted Caramel. 3. The Taste. The flavors are bold, familiar and cravable. The peanut butter contains thick chunky swirls of real peanut butter. And the ripples of the fruit flavors are colorful and vibrant - and actually taste like real fruit. 4. Eat the Whole Pint. 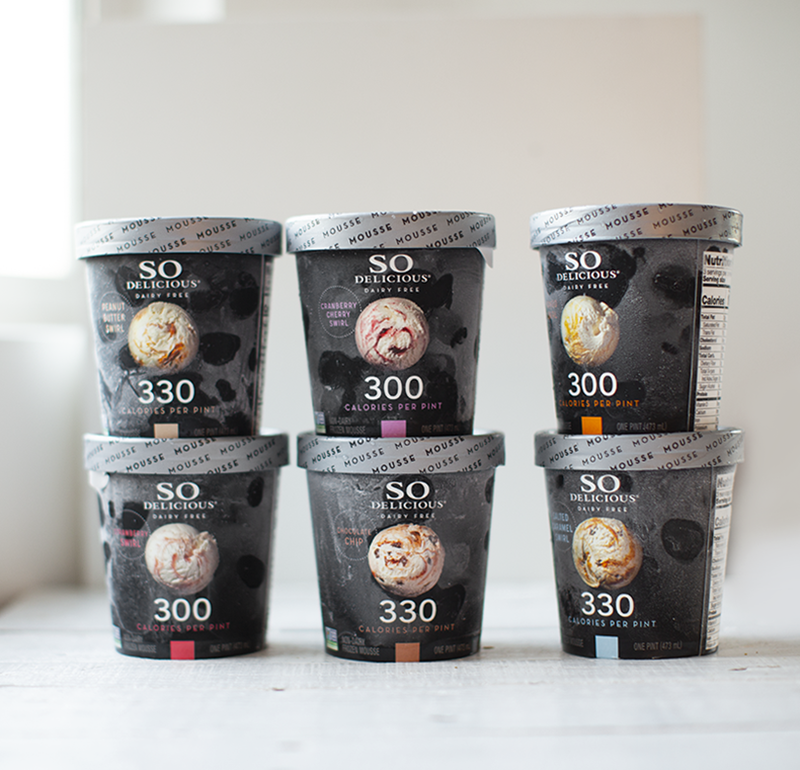 You could absolutely sit down with a big spoon and eat the entire pint since each pint contains either 300 or 330 calories. 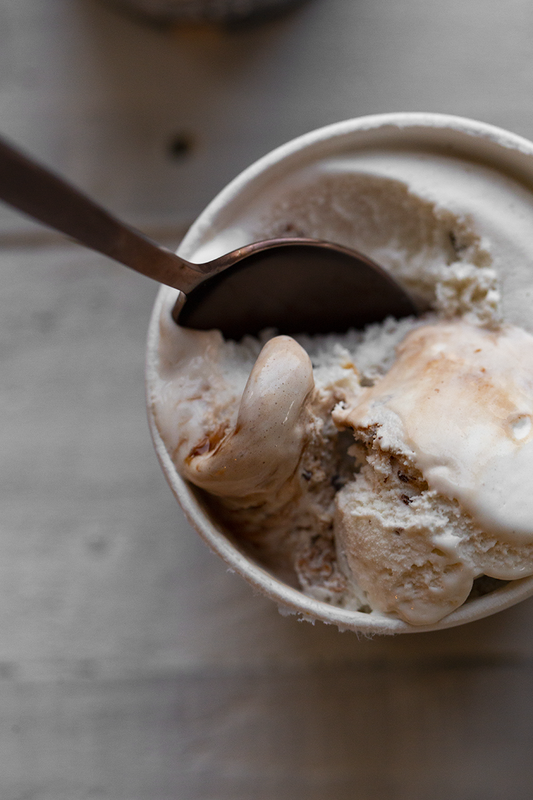 Perfect for those nights when you just want to plop on the couch and binge watch your fave TV show while spoon-diving into a yummy frozen treat. 5. Dairy-Free. This one is kinda obvious, but I think it can be taken for granted these days! Guys, I totally remember when there were like TWO vegan ice cream flavors on the market. And they both tasted, well, meh. I love that So Delicious has transformed the dairy-free frozen dessert section of the grocery store. It is almost unbelievable to me how many amazing flavors and diverse creations this company has rolled out in the past few years. We are truly spoiled guys. 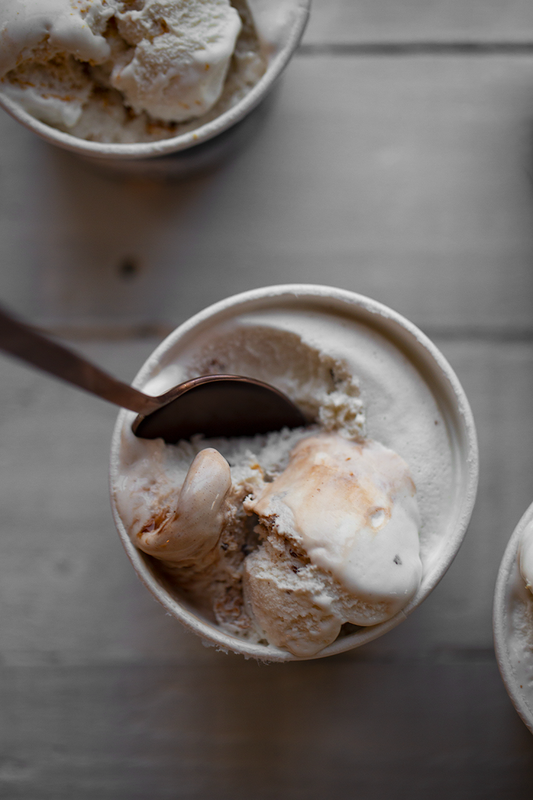 I love that anyone who wants or needs to choose dairy-free frozen desserts can not only enjoy their treat - but actually feel super proud and crazy-excited about all the options out there. This mousse is a great plant-based addition to the freezer section. 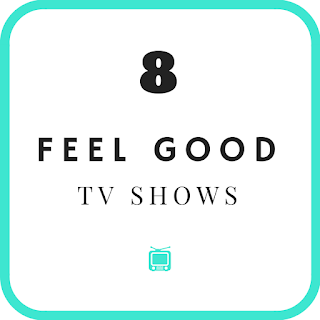 7 Feel-Good TV Shows to Watch While You Eat So Delicious Mousse.. These all have a feel-good vibe, which is perfect for this time of year!.. 1. Friends - I mean we already binge-watched the entire series a few years ago, but we recently started watching one episode and found ourselves re-addicted to the belly laughs. 2. The Good Place - We just started this show a few weeks ago and it is super cute. I love the creative premise and it is an easy watch with light-hearted fun. 3. Fixer Upper - We were late to the game watching Fixer Upper, and binge-watched the whole series about six months ago. Loved it! Chip and Joanna are so fun and I love the transformations. I always end the show wanting to move the Texas, buy a farm and rescue a bunch of animals. 4. Stranger Things - Ahh, the 80's. I love the time period of Stranger Things and the characters are all so well done. Lots of fun and just a few scares with this one. 5. Queer Eye - Please tell me you have already binge-watched all the season one and two episodes? Yes? Good. No? OK, well you are lucky because you have SO MUCH happy and tears and "all the feels" coming your way. 6. Better Call Saul - OK, wait, so this isn't exactly feel-good, so it is a bonus show. But if you watched Breaking Bad, you just have to watch this show. And I still think the character of Saul is just so lovable and fun, he always lends a feel-good vibe. 7. Riverdale - We started watching this show on a whim, but ended up loving it! The characters are so well done and I loved the storyline in the first season. Plus, I love that "Dylan McKay" and "the guy from Scream" play two of the dads. That makes me feel old, but that's ok. The storylines have shifted a lot, but it is still a fun show to keep up with. Other shows I love: The Americans, Game of Thrones, Grey's Anatomy, Shark Tank, Hell's Kitchen, Marvelous Mrs. Maisel, Sorry for Your Loss, Killing Eve... and more. There are just SO many great shows out there these days! disclosure: This post is sponsored by So Delicious, but all opinions are my own.